After years of living an active lifestyle, growing up in sports and always having the passion to help others, I realized my purpose in life was to help people live a healthier and fit lifestyle which would help them be a better person for themselves and their families. I became a personal trainer 6 years ago and started with one on one personal training. I knew at that point I wanted to be able to reach out to more people, so then became certified to teach indoor cycle classes. I continued this journey for 4 years and then was offered an 8-5 job in the corporate world. I was about to get married, which has now been over a year, so i decided to take the job, but continued to train a few clients on the side so I could still help others. 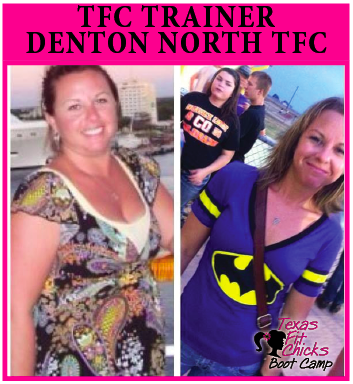 After 2 years in the corporate world, I started feeling lost without the job that i loved so much, which was helping others in the fitness world, and that is when I found Texas Fit Chicks. Not only will I be able to get back to what i love most, helping people reach their fitness goals, but I will also be able to reach out to so many and make a difference in their lives in multiple aspects. We have one body and one life, we have to take care of it and love ourselves. FREE Preview week is Monday, May 5, 2014. Camp times: MWF from 5am - 6am. Hey Girlies! My name is Jennifer Shumate and I am a mom (to 3 girls), wife, full time employee for a city government, a personal driver, sidelines coach, a cook, a laundry master...hmm what else?? O yes...now a PERSONAL TRAINER! For years I was your typical mom - probably like many of you. I took care of the kids and the husband and the home and all of that came first. I was second. So of course over the years I had put on a significant amount of weight and eventually was put on high blood pressure medicine at the ripe old age of 32. After a year of more of the same I was done. I decided to put me first. If I didn't take care of myself then who would take care of the family? It started with the complete overhaul of how I eat. I checked portions and I looked at ingredients - I watched everything. You would be SURPRISED at how second nature this came to me. I don't even realize it now...it truly did become the "clich" way of life for me. Over the next two years I lost the weight. The scale had a number I liked as did my pants size. But I still felt sluggish and tired and didn't love the way I looked. Hadn't I done everything right? I had but I had left off an important part - the exercising! 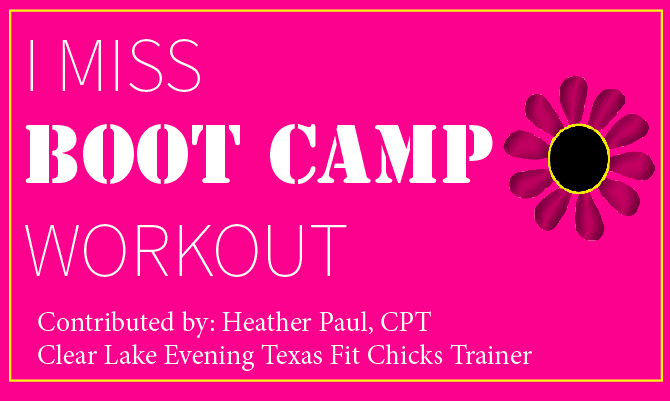 I found Texas Fit Chicks and tried out a class. I was HOOKED. Don't get me wrong...it was hard. The getting up that early was hard and the fact that after the first few boot camps I could barely move was hard but I still loved the workouts that were designed for woman. I love that when I was doing an exercise I didn't have to worry about how I looked doing it. I loved all of it. A crazy thing started happening over the next few months. My arms no longer jiggled. My legs had tone. 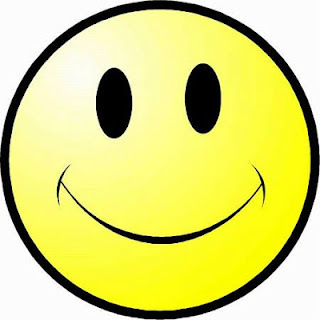 I had more ENERGY and I felt better than I had felt in years. I had finally found the last piece of the puzzle! Let me help you find that last piece. Let me help you find your FIT. There are 24 hours in a day. Give me one of them. You will not regret it. If you're sick and tired of being sick and tired, and you're ready to commit to create a new HEALTHY lifestyle and don't just want a quick fix then continue reading this article. These tips will set you up to create the NEW YOU that it's time to see. Everyone has an inner FIT CHICK that's just waiting to emerge. I want to help you find her!! see...that IS a lot! You didn't put it on in a day - and it won't come off in a day....but stick with it and it WILL HAPPEN when you're fully ready to commit. Are you IN? 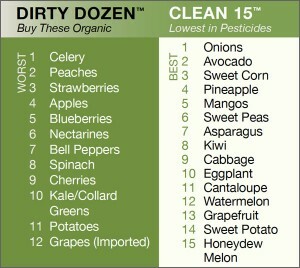 Ok great - keep reading for 15 steps to a healthier YOU! Create a FIT CHICK PANTRY! This is going to be critical. You've got to throw out the junk - or share with a neighbor that's not ready to reach their goals. This includes the fridge. If it's not in the house - you won't eat it! If something has more than 11g of sugar in one serving there's one place that it belongs...in the trash can! When getting ready to make the trip to the grocery store, be sure to go when you just got done with a killer workout; NOT when you are hungry! Shop the perimeters of the grocery store (and not in the aisles) where the “whole” and most nutritious foods can be found. My willpower starts in the grocery store. If I don't bring it in my house, I don't eat it. And yes, I have kids! They have to learn to enjoy fruit as a snack, and other various healthy things....fruit snacks don't come in the door! Yes, they're easy, but have no nutritional value, sugar and a bunch of other crap I don't want them to have. Breads/Grains – White and even whole wheat bread can stop you from reaching your goals. You want to choose sprouted whole grain or 100% whole grain products. Some whole wheat breads can turn to sugar just like the white flour. Choose brands like Ezekiel, Food for Life, and Manna bread. You can use them for your meatloaf or meatballs just like normal breads. If you need gluten-free, choose rice and spelt breads also made by the previous companies. Make it a goal to break a sweat for at least 40 minutes a day. Do something that gets your heart rate up daily, and aim to do it 6 days a week...taking the 1 day for rest. No food within 3 hours of going to bed if possible - cut your carbs off at 2pm to give you time to burn it off. If you take night boot camp - a protein shake is great for the evening. Get a minimum of 7-hours sleep per night. This is when your muscles rebuild. This one's important...don't ignore it! If you get cravings, try drinking a glass of water. You might be dehydrated. Wait 20 minutes and see if you are still hungry or craving food. You can try to chew a piece of gum to curb your cravings as well. Find out if it is dehydration first. Use a scale and measuring cups for portion control until you are able to eyeball portions VERY well! We always under-estimate. If something calls for 1T of almond butter, it's easy to pack on some serious calories with that healthy treat. Make sure to measure. Eat every 3-4 hours to keep blood sugar levels happy. Don't think 'well I'm not hungry so I won't eat lunch' - what happens next? You over-indulge because you're starving the next time you sit down to eat. Eat cruciferous vegetables as much as possible – every day if you can. They include: broccoli, cauliflower, Brussels sprouts, and cabbage. Consider them FREE calories! 90% of the time you eat healthy and 10% choose what you like. 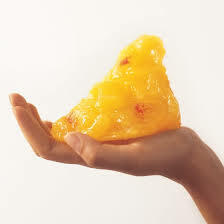 This is not a diet or a quick fix; it’s a healthy lifestyle. The difference between the body that you have today and the body that you wish you had is made up of simple daily decisions! I love this quote: You CAN'T OUT-RUN your fork :) So true!! Working out is awesome and will give you cardio benefits, strong bones and so much more...but if it's weight loss you're after, you've got to get the hardest part down...the eating. 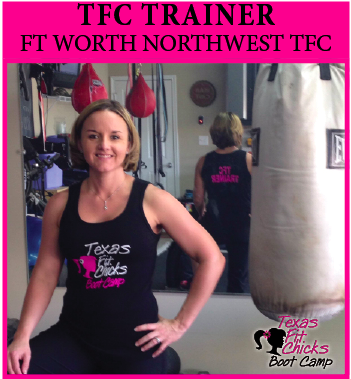 My name is Trish Josephs and I am so excited to be bringing Texas Fit Chicks Boot Camps to Cypress, TX! 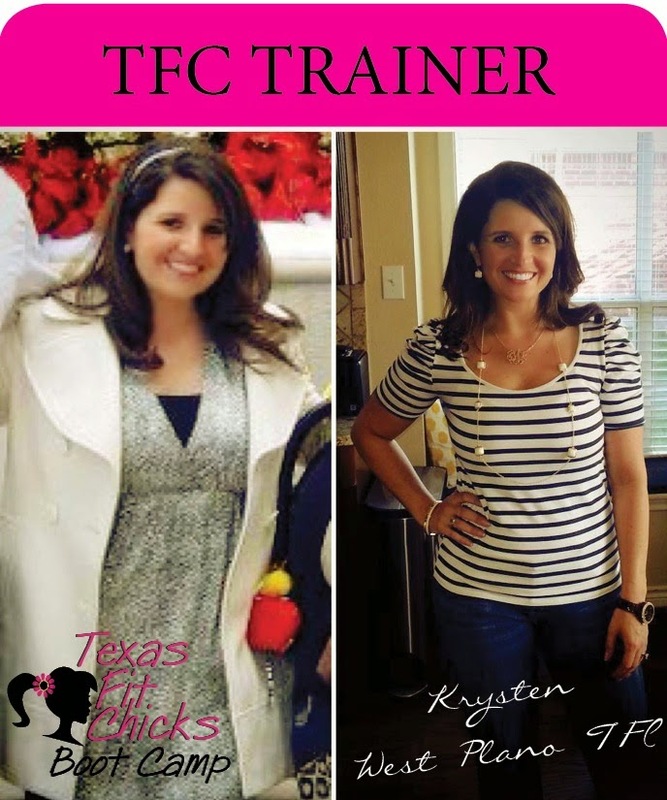 I will be your trainer and am so looking forward to working with you to reach your fitness goals. I have lived in Cypress for 15 years, currently in Coles Crossing. I am married and have a 12 year old son. I am a graduate of Southeast Missouri State University, and received my personal training certification from Professional Fitness Instructor Training in Houston, TX. All my life I have had a passion for fitness. I have had my own struggles with weight gain and actually had gestational diabetes with my son, but was able to beat it with exercise and proper nutrition. I believe that neither exercise nor nutrition has to be boring…but that a high-energy workout and a creative balanced meal can be the absolute best part of any day! 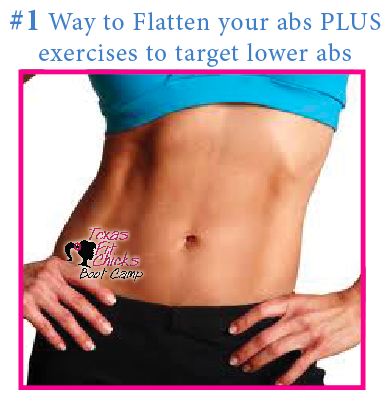 I've always had issues with my lower abs. They just don't look the same after having 3 kids. It didn't help that I had 3 C-sections! I would argue that for most women, it's probably one of the most difficult places to firm up. Sometimes if you've got excess skin, there just won't be a way to completely be rid of it all, but there are definitely ways to tighten things up. I wanted to say thank you! Since starting to train with you 4 weeks ago I have gone from the pic on the left to that on the right. Along with your training and getting back to eating clean, I've been able to make a positive change. Just wanted to say thank you and show you the proof that commitment to working out and eating right does work!!! Bring on bikini season! For each letter in “I Miss Boot Camp” you will do one exercise as described below. While there is no substitute for your boot camp experience, this is a great workout that will get you sweaty and feeling STRONG! So turn up the music and WORK IT! Challenge Plank: How long can you hold a full plank (knees off the ground/hands under shoulders)? Time yourself and don’t give up! Cool down for 7-10 minutes, make sure you really stretch well! 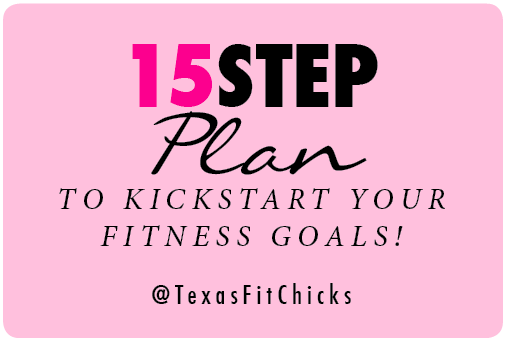 Texas Fit Chicks Is A Partner Gym for the SHAPE Diva Dash 5K in AUSTIN! 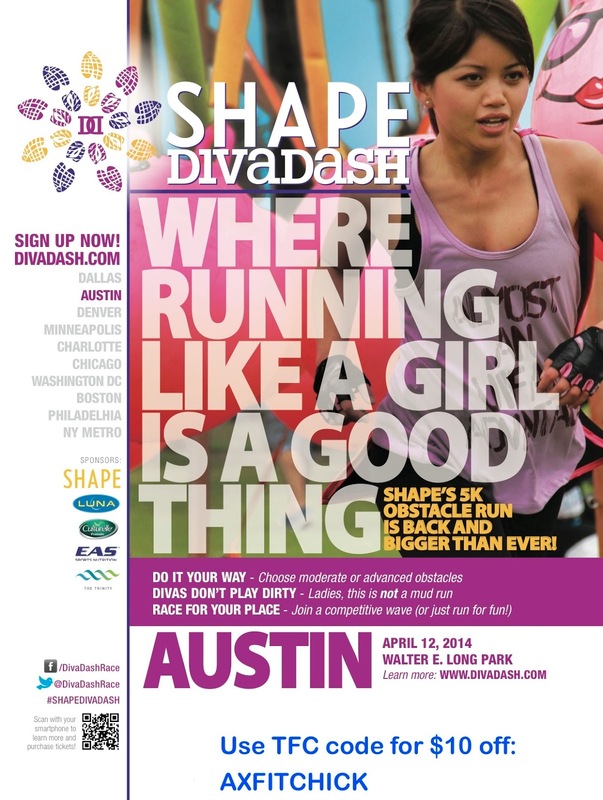 We are proud to be a Partner Gym for the SHAPE Diva Dash 5k women’s obstacle run in AUSTIN on April 12th! Register online at www.divadash.com and use code AXFITCHICK to save $10! Use #shapedivadash whenever you are posting about the event on any social media sites. Encourage all of your Divas to use the hashtag and follow us on social media as well! Forget barbed wire, fire pits and mud. We're talking a women's-only 5k course dotted with fun obstacles sure to challenge your agility, balance, strength and speed. Add in copious amounts of tutus, boas and bling, plus enthusiastic camaraderie, and you've got SHAPE Diva Dash. Join the competitive wave at 9AM and battle for a top finish and prize*. Or saunter along at your own pace. We'll time your efforts (if you want), but there's no pressure to finish fast, so have a great time as you run, walk, jog or slog your way to the finish. Tackle tough obstacles that challenge you or take the easy route. It's your call. Different degrees of difficulty on some obstacles give you the chance to make the Dash as hard...or easy...as you want. Sign up with your favorite ladies so you can be in the same starting wave. And don't forget costumes! Tutus, boas, bling, and whatever other embellishments you can dream up are all the rage at the SHAPEDiva Dash. back to Austin area women's groups! Please join us!